We take the time to inspire our patients to become active in their healthcare. We want to motivate and encourage a healthy and happy life. Dr. Daniel Chun is a California licensed and Board certified Chiropractor. His goal is to help Santa Clara residents regain health and live a pain-free life through high quality chiropractic care. At his Santa Clara chiropractic office he constantly strives to learn new techniques and attends seminars to ensure that he always gives his patients the most up to date and comprehensive care. Dr. Chun received his Doctorate of Chiropractic from Life Chiropractic College West. After completing his internship at Life West, he began practicing at one of the largest and oldest chiropractic clinics in California, located in San Francisco. During his time there, Dr. Chun collaborated with other doctors and honed his skills, learning new adjustment and patient care techniques. He treated many different patients with a variety of problems, and had great success in helping patients regain their health. In 2008, Dr. Chun moved to the South Bay, bringing his knowledge and experience from his practice in San Francisco. He founded New Hope Chiropractic in September 2008. Dr. Chun has been able to serve many patients. He has a great deal of experience in treating patients with disc problems, whip lash, osteoarthritis, joint dysfunction, neck pain, low back pain, headaches, sciatica, pinched nerve, carpal tunnel syndrome, fibromyalgia, and pain/discomfort from sitting at the desk. Dr. Chun believes that every patient is unique and that it is critical to listen to each of his patients. His genuine concern for each patient’s health has been the key to getting great results. 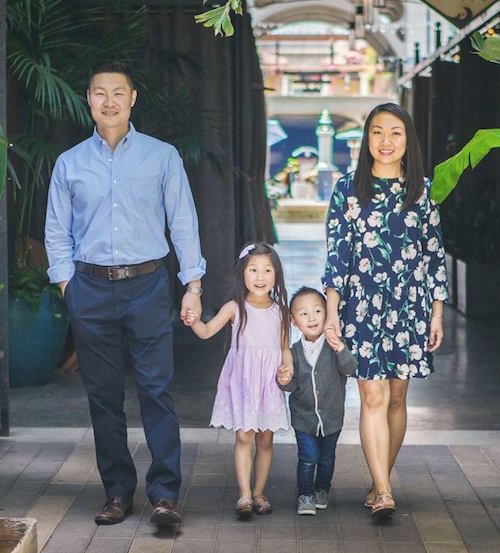 Dr. Chun currently lives in San Jose with his wife, Jenny, and their kids, Taylor and Aiden. They enjoy spending time with family and friends, movies, traveling, and trying out new restaurants. Give us a call in our Santa Clara chiropractic office, so we can help you find long-term solutions to you health care needs. Click on the “make an appointment” link below to schedule your appointment today. Sunnyvale, Saratoga, Campbell, Milpitas, and surrounding areas.